This week, I discovered Sav’s Grill & West African Cuisine at 304 South Limestone in downtown Lexington, Oh.My.Goodness. It was wonderful! 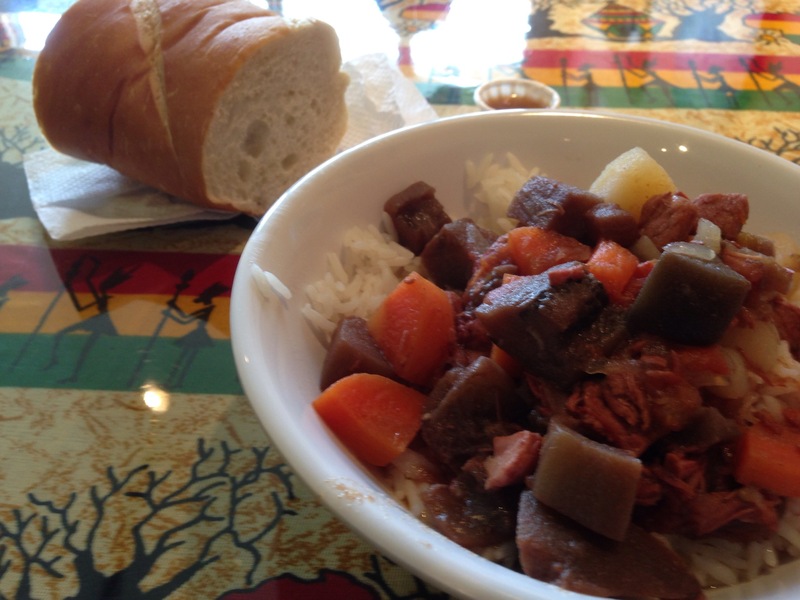 I had the Mafen Beef: tender beef, eggplant, carrots, and potatoes over rice. It was difficult to decide which entree to order because the descriptions were all very tempting, so I know I’ll enjoy trying different dishes on return visits. 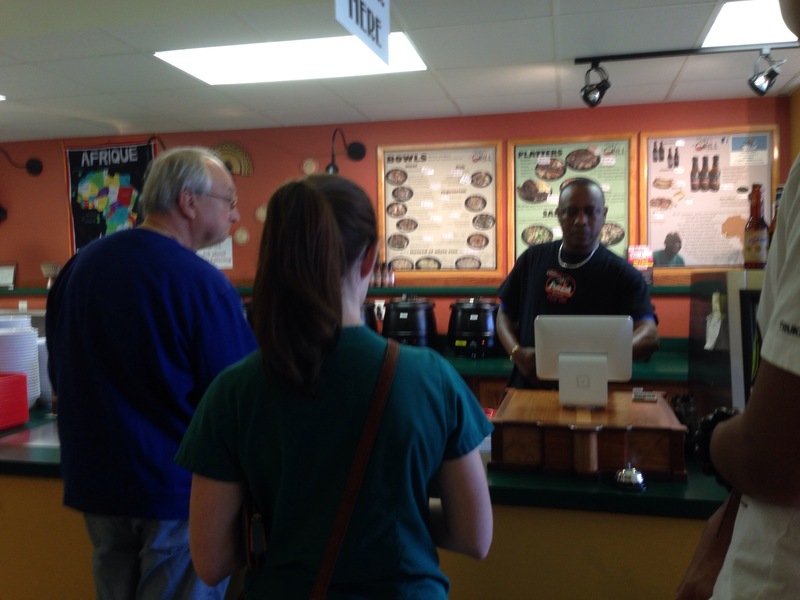 Proprietor Sav (Mamadou “Sav” Savane) there to take my order at the counter and supervise service. Later he came around to each table to greet diners. He treats you like a guest in his home. Sav grew up in Guinea and moved to Lexington when he married. His restaurant opened in 2008 and is known for its healthy and delicious West African dishes. 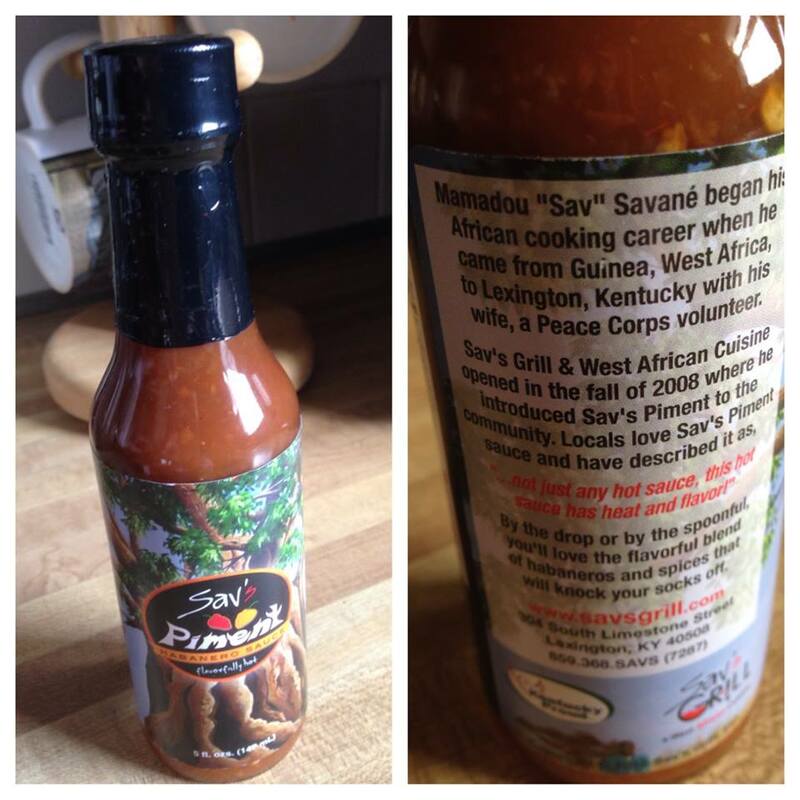 All the dishes are perfectly spiced, but you have the option of adding his special blend of hot sauce, Sav’s Piment Habanero Sauce, which he also sells by the bottle by popular demand. It was such a delightful lunch that I ordered more Mafen Beef to drop off for my daughter’s lunch. (She pronounced it delicious, as well.) Highest recommendation! 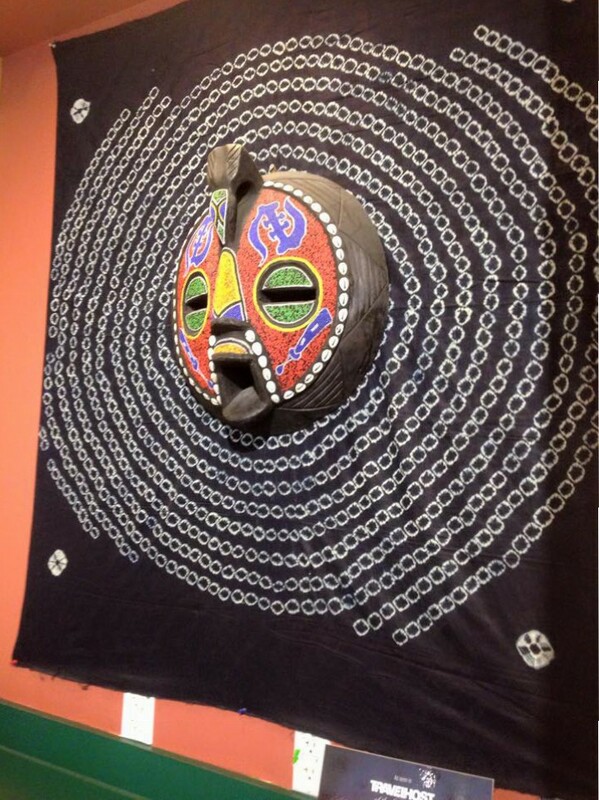 Posted in Day Trips, Dining, Kentucky, Restaurant Reviews, Restaurants, Road TripsTagged African Food, Fayette County, Guinean Food, Lexington, Mafen Beef, Mamadou Savane, Sav's Grill & West African Cuisine, Sav's Piment Habanero SauceBookmark the permalink. The food sounds wonderful. What a find. Best food in Lexington! I have a hard time not stopping in every time I happen to be downtown! Kentucky Day Trip to…New Hampshire?